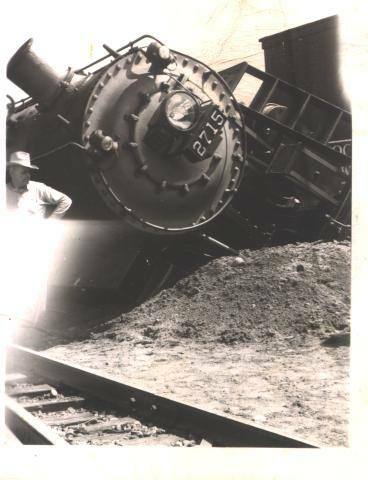 Do you have any old pictures of trains, events or building of the south side, Stevens Point or Portage County? 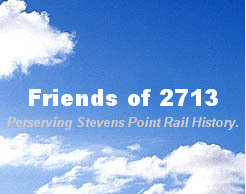 We are always looking for this type of picture to perserve the rail road history of the Stevens Point area. The Friends of 2713 will pay to make copies of your picture and give you credit for the picture when ever it is used. The above picture was donated by Mrs. Warren Duffin. Notice the Stevens Point Depot in the backround and the old signal tower that derected traffic until the Underpass was built on Church St. The picture to the right was donated by Sal and Jean Pliska. Picture of the South Side business area. Picture is looking north from the Madison Street and Church Street intersection. Picture is from John Kedrowski.